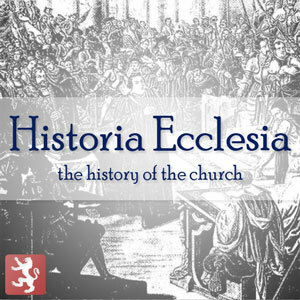 Glad you’re doing these audios for Presbyterians of the past. 🙂 Thanks! My guess is: on civil govt, exclusive psalmody, and close communion. Can you confirm which views he changed? I do not remember the specific source for that bit of information but I imagine it is in the biography of McGill in, Centennial Memorial of the Presbytery of Carlisle, Biographical, 1889, which was written by Ebenezer Erskine. The book in digital form is available on Internet Archive. Though I think this is obvious, the Ebenezer Erskine noted in the answer to Baus’s inquiry is not Ebenezer Erskine, 1680-1754, who was the founder of the Secession Church but he is one of his descendants. The Erskine who wrote the biographies mentioned was the pastor of the Big Spring Presbyterian Church in Newville, Pennsylvania, beginning in 1869 and he died in 1901 and is buried in the Big Spring cemetery.